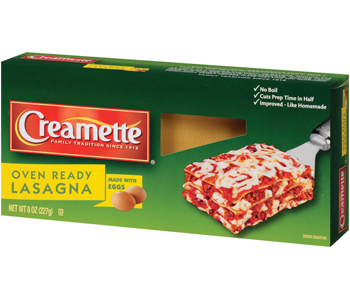 America's favorite pasta baking shape, these are pre-cooked lasagna pieces that are much thinner than regular lasagna. 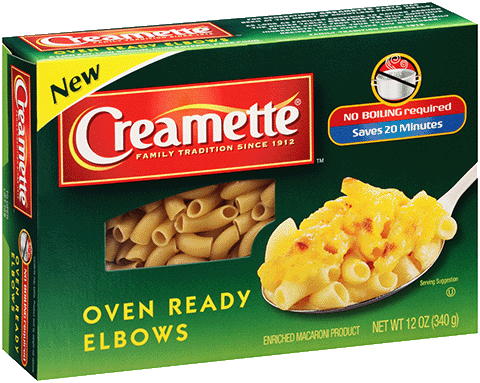 Because the noodles are pre-cooked, there's no need to boil them first, saving half the preparation time. Sometimes called "weeknight lasagna", Oven Ready Lasagna fits the bill for time-starved cooks. The pasta pieces are layered with cheese, tomato or cream sauce, vegetables, meat or seafood. Use it in all your favorite lasagna recipes. Oven Ready Lasagna can also be soaked in hot water for 10 to 15 minutes until soft and pliable, then made into roll-ups.